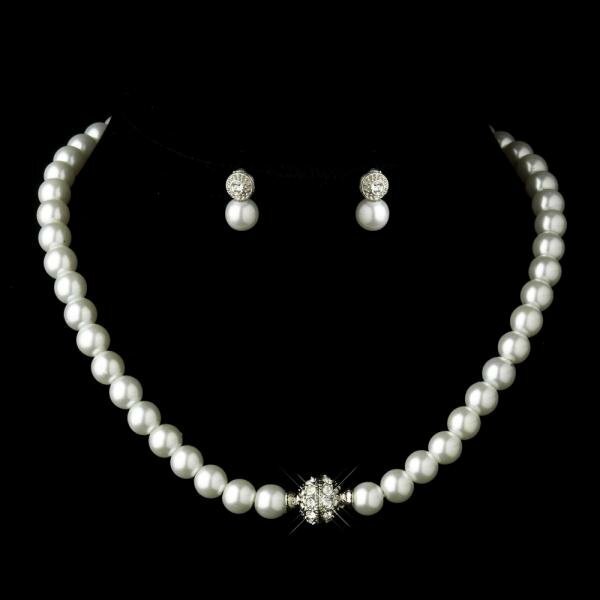 This elegant and chic off white glass pearl necklace features a magnetic silver rhinestone encrusted pave ball closure. The perfect bridal accessory to match your ivory dress. The earrings have a gorgeous rhinestone stud with a round glass pearl drop.